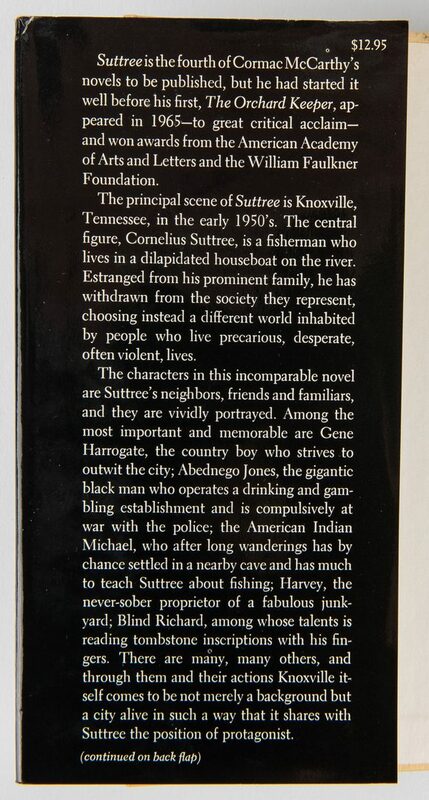 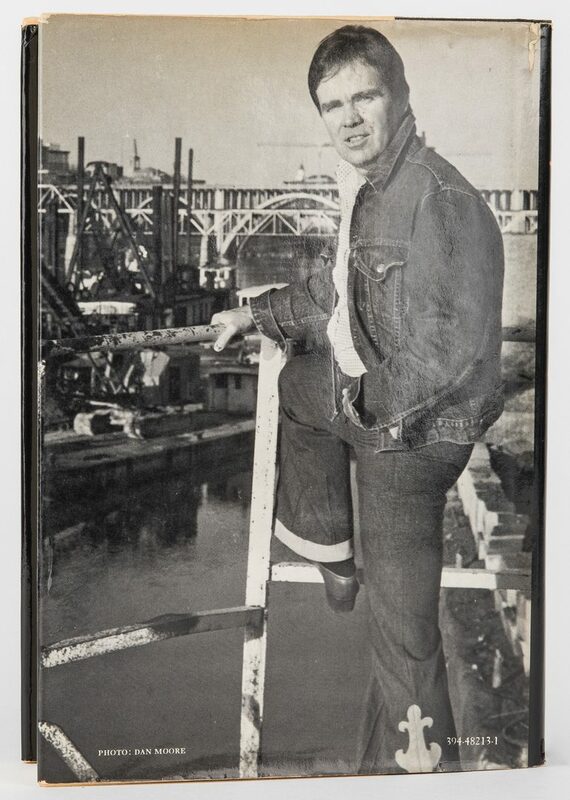 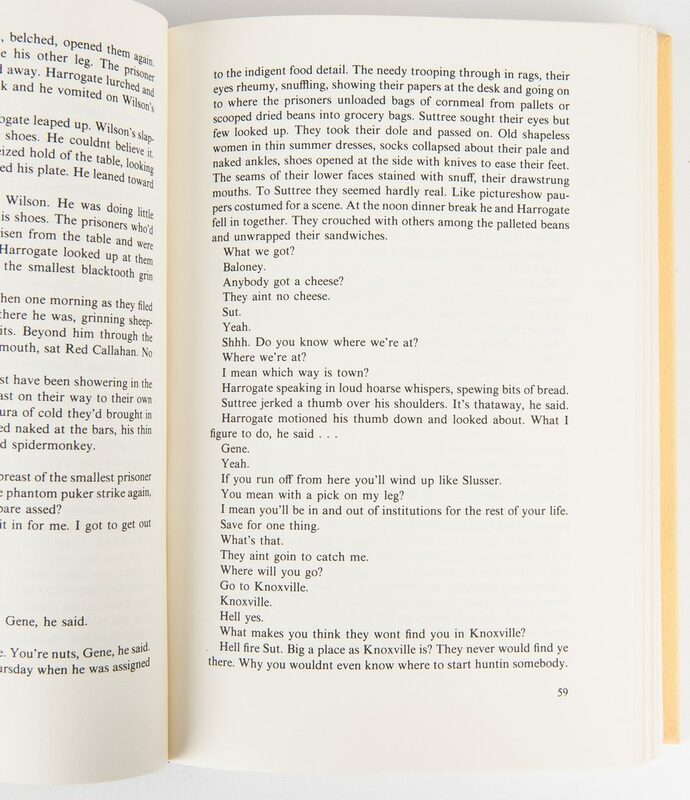 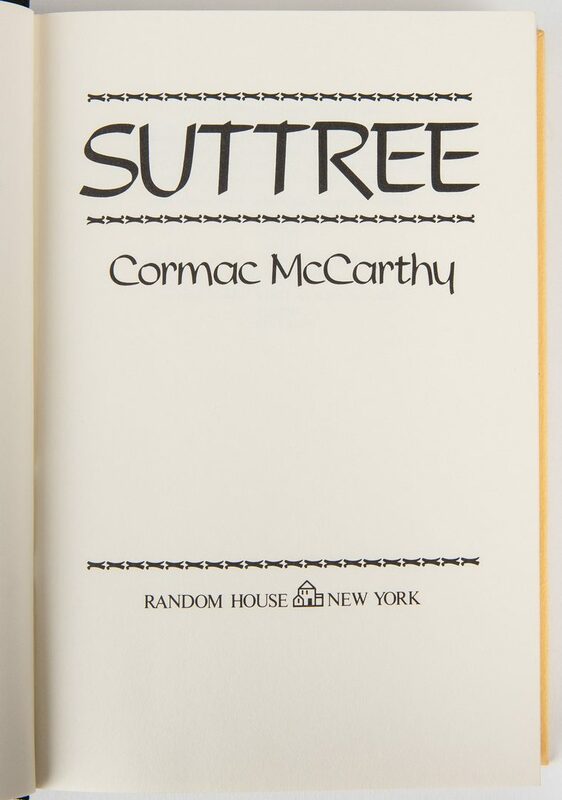 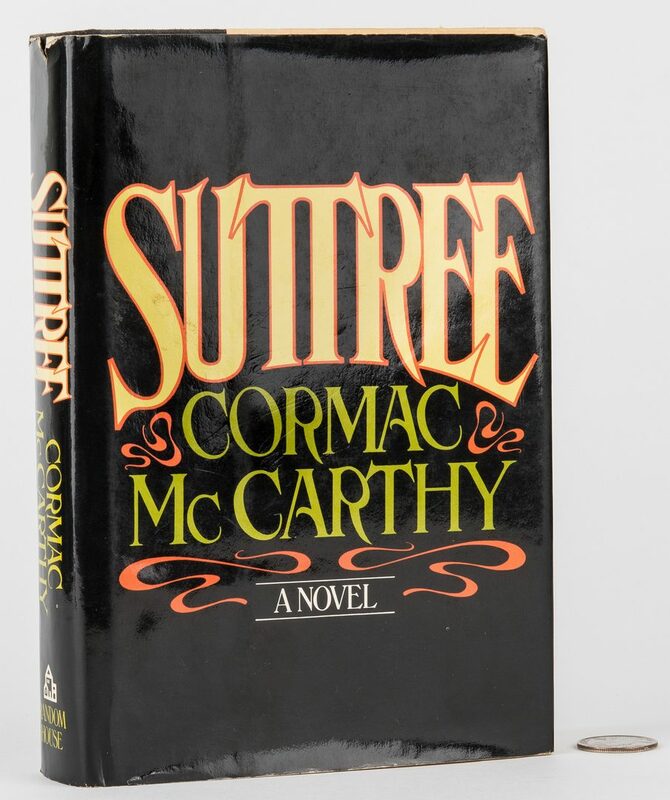 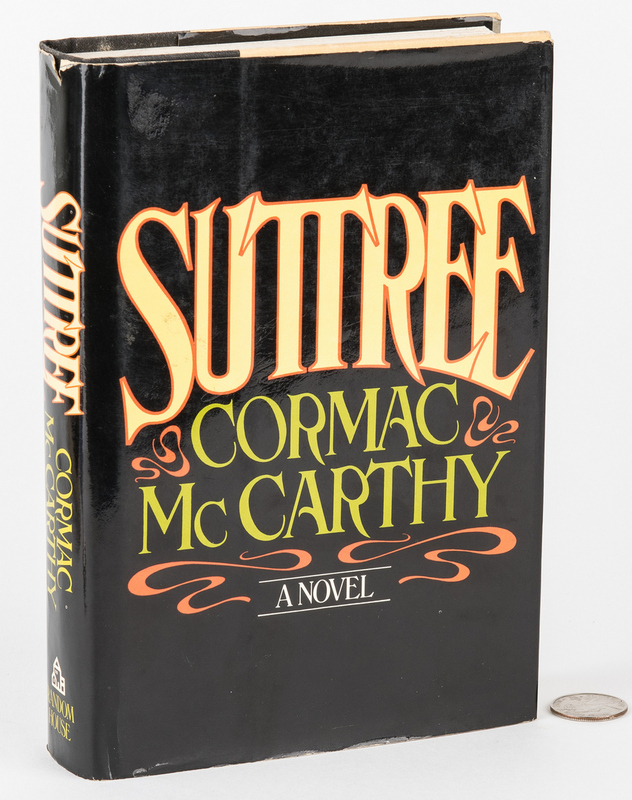 SUTTREE, First Edition, by Cormac McCarthy, 1979. 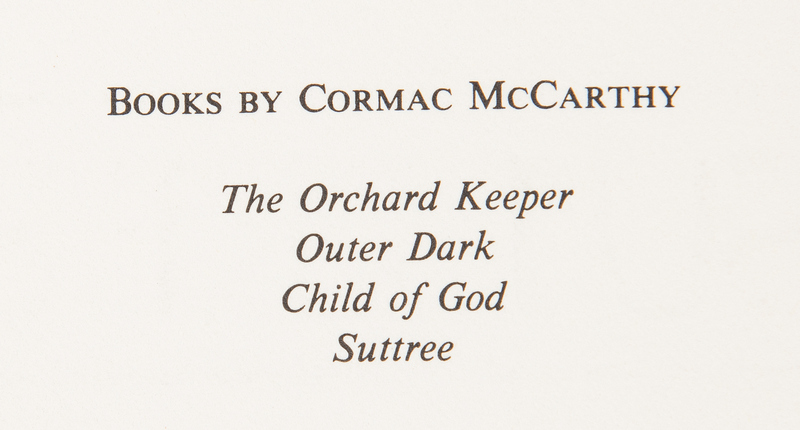 Published by Random House, New York. Octavo, 471 pages, stated first edition with publication line 24689753, hard bound in quarter black cloth over yellow paper boards embossed "CM" in gilt lettering with gilt lettering to spine, includes original pictorial dust jacket with $12.95 price on flap. 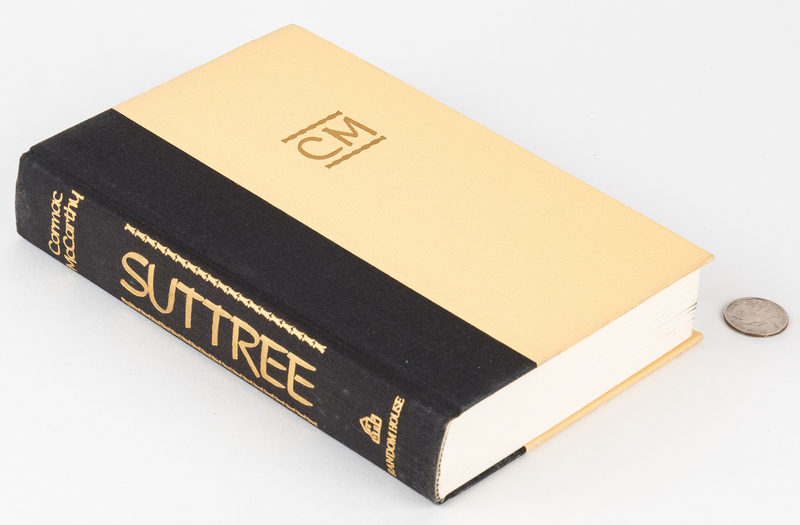 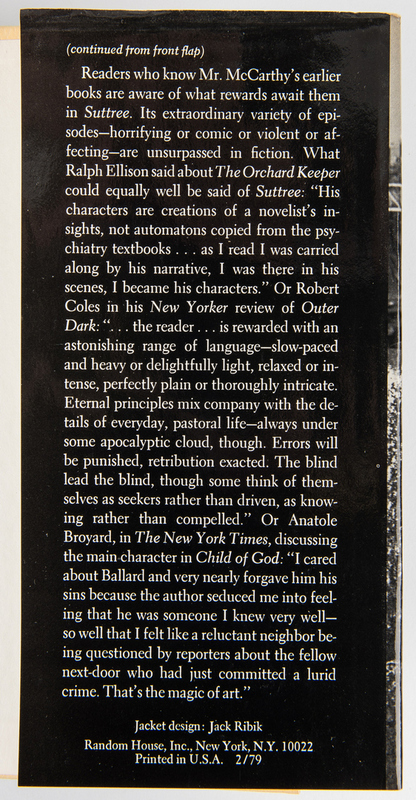 8 5/8" H x 6" W x 1 5/8" D. CONDITION: Dust jacket with light shelf wear, 1/4" tear, top of spine, toning to interior. 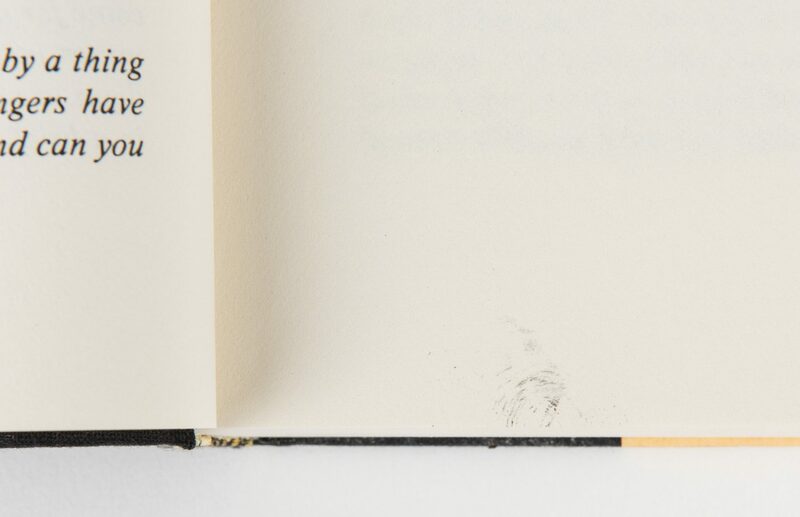 Light shelf wear to cover, corners slightly bumped. 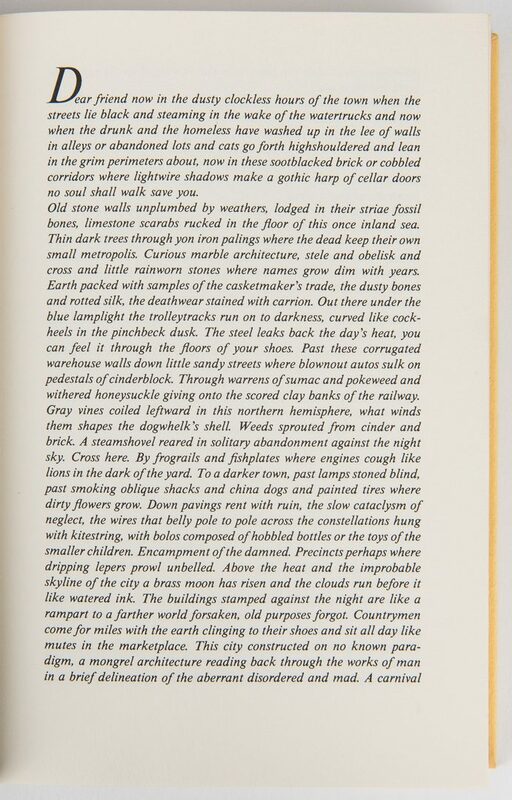 Pages with light toning, scuffs to edges. Retail pencil mark and traces of retail price sticker, front end paper. 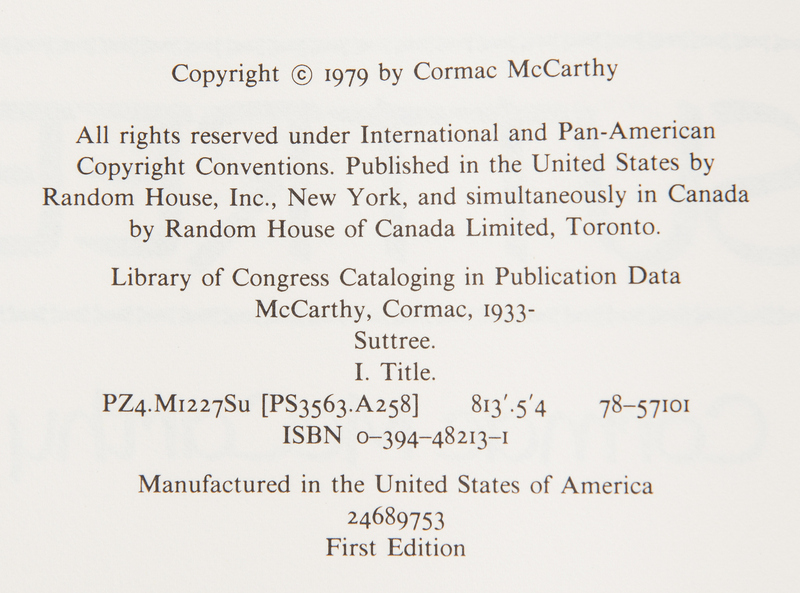 Toning, inside of covers and end pages.